"I was web browsing for permanent eyeliner when a found Nina's fabulous site. It stood out for many reasons, it is very personable, professional and very informative. She talks of her background and profession and describes her many different permanent make-up procedures. Her Gallery was the biggest draw for me. The variety of before and after photos were a great testament to her art work. She is a perfectionist with a definite focus to detail. She knew exactly what I needed as far as color, shape and accent. She explains everything as she goes decreasing ones fear and you can rest assure she uses nothing but the state of the art equipment. She has an ideal location too. Her salon is bright, cozy and quite comfortable with a window right next to you that brightens the whole room. Thanks to Nina my new look has definitely boosted my self esteem!!" 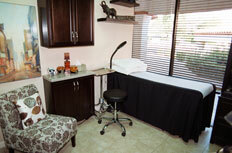 Nina Malte Permanent Makeup opened in 1998. She is a Certified Derma Technician, a Diplomat of American Council of Dermagraphics Research (ACDR), and a graduate of the American Institute of Permanent Color Technology, trained in the instruction of Macro-Theory Dermagraphics (the insertion of natural pigments into the upper dermis "skin" resulting in layered shadows of color. 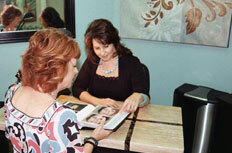 Nina is a dedicated professional that has been in the beauty business since 1985. Nina's skill, patience, and her perfectionist eye for detail are truly appreciated by her clients. She is more than a skilled technician. She is an artist who understands how color choices, shaping techniques, and attention to detail will give you the most satisfying results. Nina gives every client her complete, personal attention and genuinely listens to their requests regarding color and individualized style and shapes. 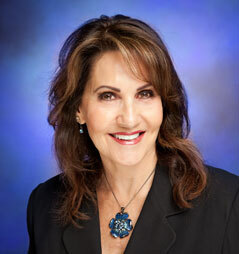 She uses State-of-the-Art equipment, the most up to date techniques, topical anesthetics, and disposable instruments. Nina uses only the highest quality pigments that are FDA approved for the face, giving added assurance against allergic reaction. The probability of experiencing an allergic response is practically zero. She is a talented and conscientious individual who has earned the complete confidence and trust of her thousands of clients that return year after year. And for those that are new she has before and after photos for clients to see..
Nina uses her "special" topical for procedures that are the very best and make her procedures nearly painless. Most of her clients refer to it as a tickle. She has worked with Dr. Salkin of Laser Med Spa and Dr. Henderson of Renaissance Surgery Center both on El Paseo in Palm Desert. She is now so busy she is unable to continue working with the doctors. Nina believes in continuing education and has attended color theory, hair stroke simulation and problem solving workshops.